Join the thousands of satisfied users and see why ReproTabs® has become the most trusted brand of high-speed, high-volume copier tabs in the printing industry. 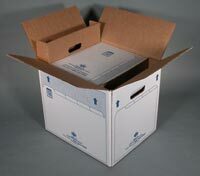 Like Original ReproTabs®, ReproTabs® Plus+ are manufactured for use in many of the major high-speed copiers/duplicators that have tab printing capability and are designed to provide excellent results using digital laser print technologies. ReproTabs® Plus+ fully reinforced laminated tabs, with our unique glossy toner-receptive plastic tab covering, allows you to print right onto the surface of the tab providing cost effectiveness and a faster solution to traditional outsourced custom printed mylar index tabs. NEW 92 brightness white index in 90 or 110 lb. stock weights with your choice of clear or 5 color “patch-style” tab lamination shape is very durable and holds up to hard use. 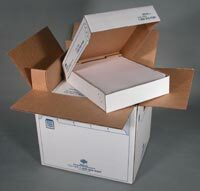 Quick-Cut made-to-order tabcut laminated blank tab items is a specialty of ours. 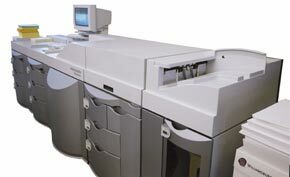 Items tabcut 3 – 12 across with clear or 5 color lamination in either 90 or 110 lb. stock weights usually ship within 72 hours (often next day). 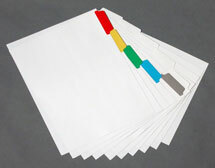 Lamination colors: red, yellow, green, blue & grey. ReproTabs® Plus+ are available in pre-collated sets or un-collated by tab position, plain binding edge, 3-hole drilled or reinforced/3-hole drilled to suit your particular equipment print format and job requirements. Click here for Collation Chart.